Ford have at last decided it’s time to venture into the performance diesel market with the new Focus ST Diesel. Pumaspeed saw it's potential straight away, a chance to prove that VW and Audi are not the only name in fast diesel hatches. We took that chance and smashed all expectations. Working with only the best quality products, MAXDOUT Performance Software, R-Sport Intercoolers and Milltek Sport Exhausts, Pumaspeed quickly developed the definative range of upgrades making the Diesel a serious contender. Stage 1R This kit still works with the stock Ford DPF system, but you can select to add extra intercoolers and air filters to enhance them further. Hardware dependent these MAXDOUT mappings have proven themselves as very Smooth, Powerful and Fuel Efficient with power from 230-238 bhp and torque approaching 500nm. The car has better than Stock Fuel Efficiency as a benefit at low to medium throttle inputs. 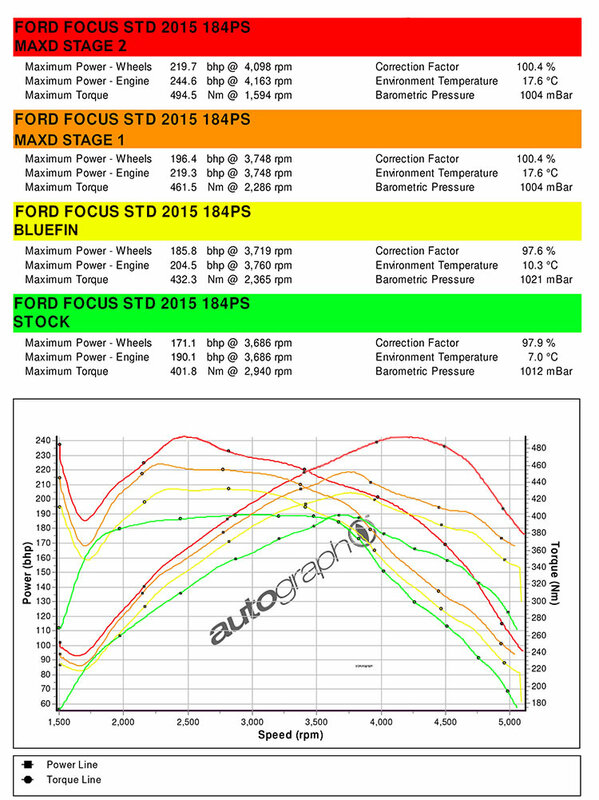 Stage 2R This kit has been developed specifically to work with the Stock Ford DPF system removed. We fit either a Milltek DPF Removal Pipe or cut the original DPF section out (Not Recommended). With a better flowing intercooler, DPF delete and cat back exhaust system we have seen Stage 2R MAXDOUT power at over 250 bhp. The MAXDOUT Stage 2R mappings are more aggressive and powerful than the Stage 1R, but still maintain better than Stock Fuel Efficiency running at mild throttle settings. We believe we have reached the limits of the standard turbo at 250bhp, however Pumaspeed have kept pushing the boundaries on this car to create the ultimate fast diesel hatch and have already developed a hybrid turbo unit that theoretically can flow another 25bhp. 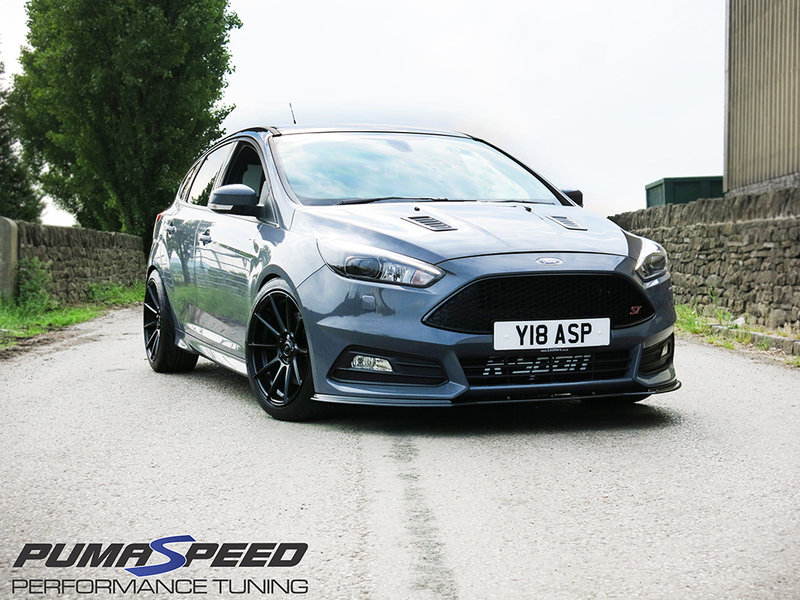 Stage 3 (Hybrid Turbo) This kit has been developed specifically to work with the Brand New X-37 Hybrid Turbo and the Stock Ford DPF system removed. We fit either a Milltek DPF Removal Pipe or cut the original DPF section out (Not Recommended). With an uprated intercooler, DPF delete, a cat back exhaust system and the new X-37 Hybrid we have seen Stage 3 MAXDOUT power at over 270 bhp. The MAXDOUT Stage 3 mappings are aggressive and very powerful but still maintain better than Stock Fuel Efficiency running at mild throttle inputs. 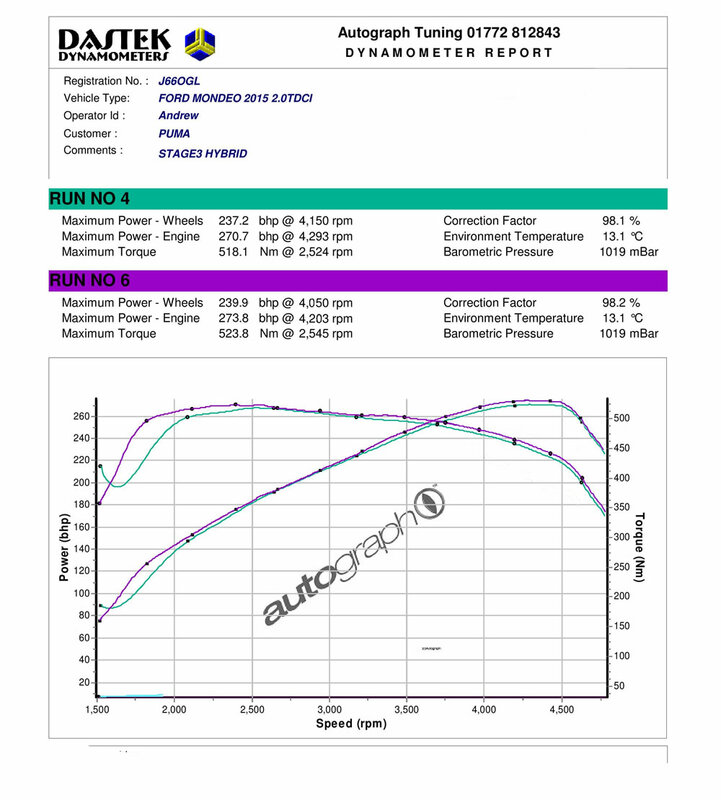 The X-37 turbo is capable of making more power than 270 but we believe that at 270bhp we have reached the limits of the standard ST Diesel fuel system and at 500nm we have reached the limit of the stock Ford clutch and dual mass flywheel combination. Take a look at the graph below to see the amazing performance our upgrades deliver.